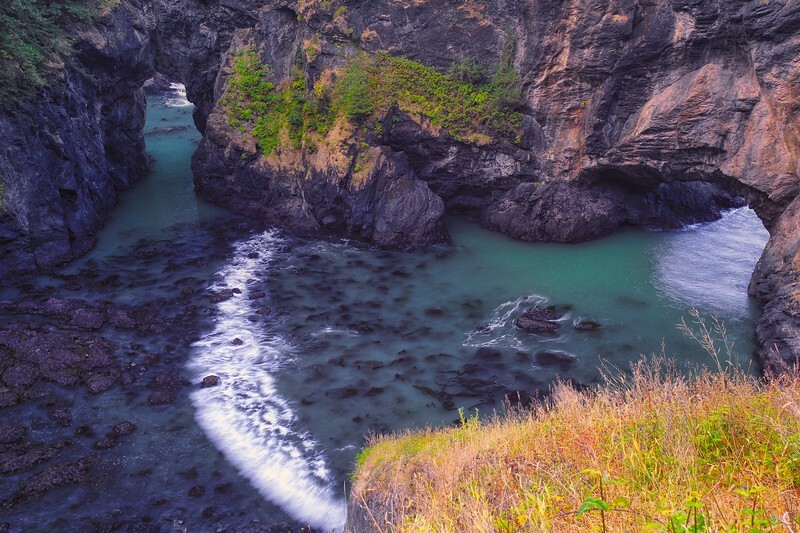 These unique costal arches encircle their own private cove which is typically viewed from the high surrounding cliffs on the southern Oregon Coast. Outstanding - such wonderful colors! This is lovely, thank you for sharing this with us. A sight that relatively few visitors to the Oregon coast get to see, so thanks for making the effort and sharing the result. Beautiful shot...love the arc of the water!